Barnstaple Pilot Gig Club (BPGC) had their two racing boats (Nipper and Lady Freda) on display on Saturday –‘ Nipper’ on Pilton High Street for Green Man Day, and ‘Lady Freda’ racing at Appledore in Torridge Gig Club’s annual regatta. The Barum club has always supported Green Man Day, and this year they had a ‘Whack-a-Mackerel’ competition that was enjoyed by many passers-by. Tickets were also sold for ducks to be entered into the Duck Race and Car Boot Sale being held at Barnstaple Cricket Club on Sunday 5th August. 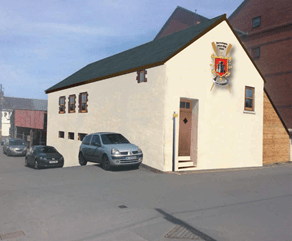 All proceeds will go towards the ‘Off the R’owd’ appeal, raising funds for a Watersports Centre on Rolle Quay. 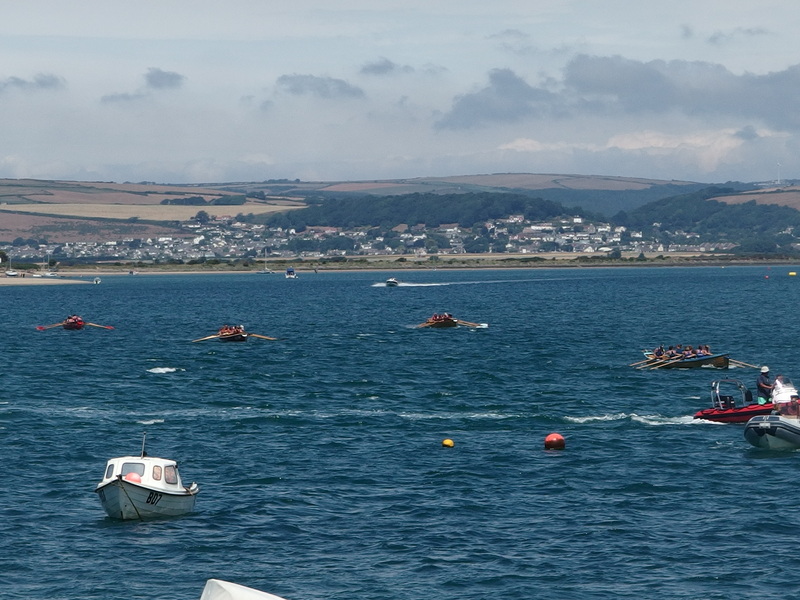 On the same day BPGC entered seven crews into Torridge Pilot gig Club’s annual regatta at Appledore. 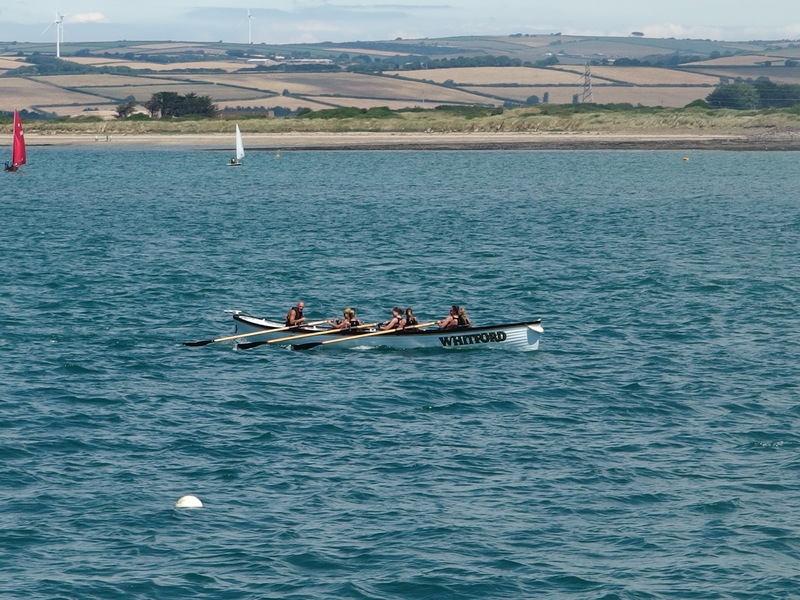 Conditions were excellent for rowing, with light winds and calm waters over the triangular course starting near Churchfield slipway and finishing opposite the Seagate Hotel. The first event (Ladies B race) provided an upset straightaway when the Barum boat was blown by the light winds onto the start line marker buoy seconds before the start. The buoy mooring line became entangled on the rudder, and the boat started off dragging the buoy. The boat stopped and the cox almost disappeared over the stern to free the rudder, after which the ladies bravely set off in pursuit of the rest of the pack. Although they managed to close the gap, the others had too much of a lead, and the race was won by Torridge’s Kerens, which also won the Men’s B race next. The Veteran crews took to the start line next, the Ladies race again won by Kerens, and the Men’s race by Rogue from Ilfracombe. Mixed and Novice crews raced next, won by Whitford (Appledore) and Kerens respectively. The under 14 race went to Whitford, as did the Ladies A, Men’s A and the Decade races that followed. The Decade race required each of the six crew members to have been born in a different decade, so the youngest had to be under 20 years old and the oldest over 60 years old. This proved to be the strongest race for Barum when their crew came in second ahead of Rogue and Kerens.